Jen Beaudet Art: Open The Door to Begin! Open The Door to Begin! The 30 in 30 Challenge by Leslie Saeta is here! 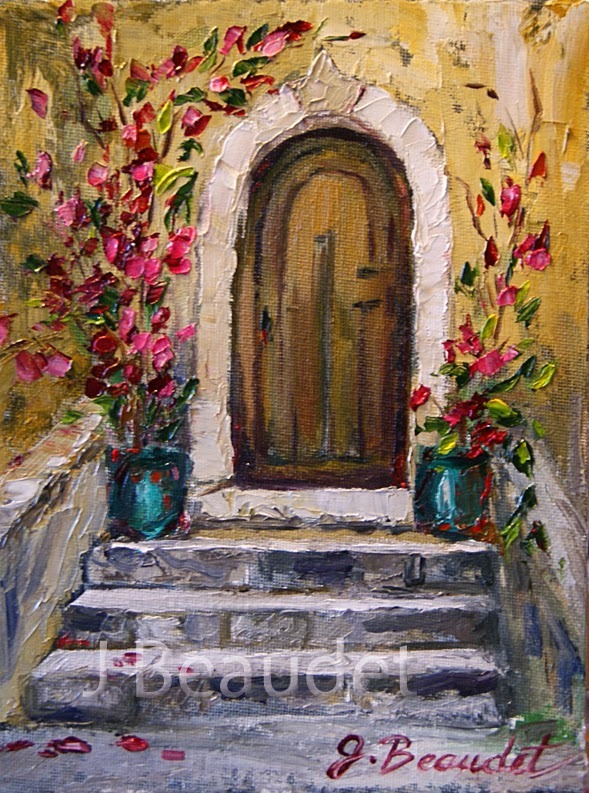 I'm opening with this little door painting, and will follow with a few more European architecture pieces. I'll also be doing some florals and figures and finish with a few from Paris. Love this. Pink's my favorite color. Well done! Ventura Surfer Daily Painting Day 20!